We are already bringing our own Stargate up to operating temperature so that Corin Nemec will have a smooth journey to FedCon 28. Born in Little Rock, Arkansas, the actor was one of the protagonists in the sixth season of the hit series Stargate SG-1 in his role as Jonas Quinn. For episode 14 of season seven („Fallout“) he delivered the story. Corin Nemec had his first TV series appearances in 1986 and only two years later followed his first feature film role alongside Jeff Bridges in Tucker – The Man and his Dream, directed by Francis Ford Coppola. In the same year he was nominated for an “Emmy” for his acting performance in the two-part I Know My First Name Is Steven. Nemec made his breakthrough in 1990 with the leading role in the television series Parker Lewis. Since then, the California-based actor has appeared in numerous series, TV films and cinema productions. Among them, for example, the four-part Stephen King film The Stand or popular series successes such as Smallville and Supernatural. 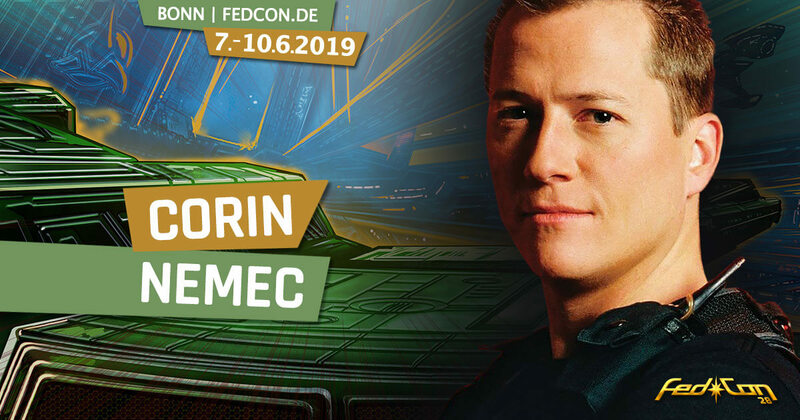 You can’t wait to see what exciting stories Corin Nemec will be telling on stage at FedCon 28. And of course you can also get his autograph and a photo with him. Tickets are available in the Ticket-Shop.